Students all over the nation prepare for the SAT in order to aim for the college of their dreams. CollegeBoard claims that they want students to be successful, but they are a business at the same time. They need to make money. Recently, the June SAT was graded so harshly that most students who did well or improved did much worse compared to previous SATs. This is an unfair grading curve and an obvious attempt by CollegeBoard to force students to keep paying for tests. We need to fight this injustice and go for fair grading. 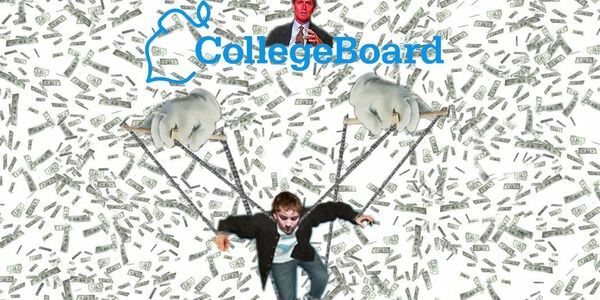 Sign this petition to demand that CollegeBoard rescore the June test. Push the Message! Even if you didn't take the test, this might affect you or a friend in the future! Hi everyone! Big updates for day 3 of this cause! 1.) I have been contacted by news outlets like ABC Chicago, and we will try to get this out on the news. I already know a lot of local news outlets have been involved. 2.) I have been contacted by care2, and they said they will try to support our cause as well! This is great news! Hi everyone! I love the huge amount of support we have gotten so far. 2500 in one day! It's crazy that so many people who didn't even take the test are supporting us. From what I have heard so far, it is very possible that change might occur if this rate keeps going up. Let's work hard to keep spreading the message!